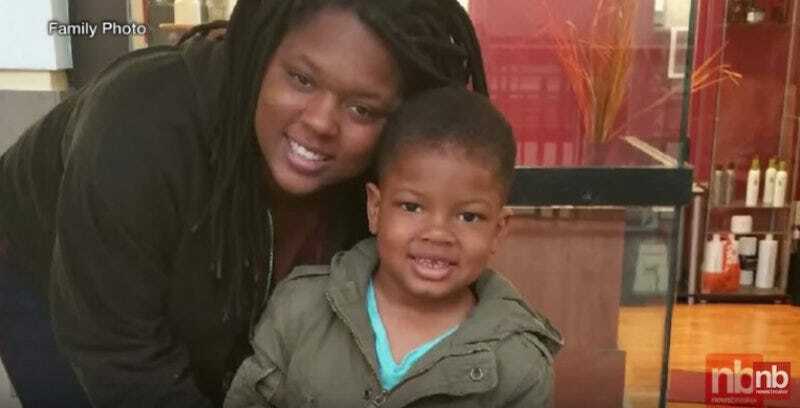 A Maryland woman found pushing her dead three-year-old son on a park swing has been indicted by a grand jury on charges of child abuse, neglect of a minor, and manslaughter. The district attorney’s office said the woman, 24-year-old Romechia Simms, has been arrested and will be arraigned Monday morning. Simms and son Ji’Aire Lee arrived at a park in La Plata, Maryland on May 20 around 11:15 a.m. The boy was alive but suffering from a bad cough when she placed him on the swing, police say. They remained there for 44 hours, until someone called police to report that the two had been at the park an abnormally long time. The boy was dead when first responders removed him from the swing to perform first aid. Simms family said she has been diagnosed with depression and bipolar disorder, and that she suffered a “breakdown,” as her mother put it, in February. She was hospitalized for four days following Ji’Aire’s death. “There’s no one unfit,” Lee responded. The medical examiner ruled that the boy died of dehydration and low body temperature. Court records show that Simms is being charged with first-degree child abuse, a felony which carries up to 30 years in prison when the abuse results in the death of the child. Manslaughter carries a penalty of up to ten years in prison.